Blink and you might miss Kleinmarkthalle along Hassengasse, but this is the traditional beating heart of Frankfurt’s food scene. A treasure trove with the perfect mix of ingredients, experts, tales and stories. 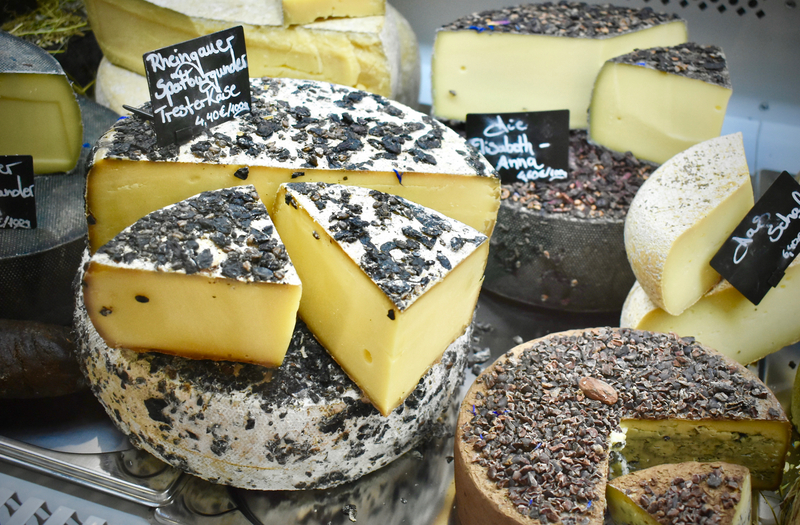 The city market is often the beating heart of a city, but as Frankfurt becomes more modern, many turn their noses up to this traditional space, that any food & drink lover shouldn’t think twice about popping by. During a visit to Frankfurt a couple of months ago, Visit Germany kindly organised a fascinating food tour with Frankfurt guide Verena Röse who told us all about the history of the building and introduced us to some of its most iconic traders, from oldest to the new generation joining the ranks. 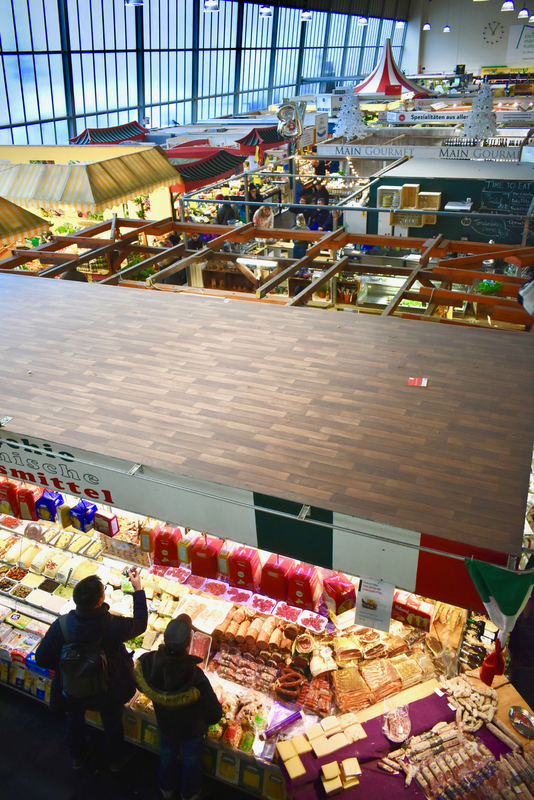 A beacon of yesteryear in look, it still retains its 1960s style, but the Kleinmarkthalle position has actually been the location of an open air fruit and vegetable market for hundreds of years in Frankfurt before a building was erected in the early 19th century. Like so many other structures in the city, it was sadly flattened and obliterated in the Second World War. Painful reconstruction in the mid-Fifties ensued and today you still find that same structure, untouched in many ways since the day it was opened once again in 1963. It’s a gorgeous example of the European art deco style of the time. 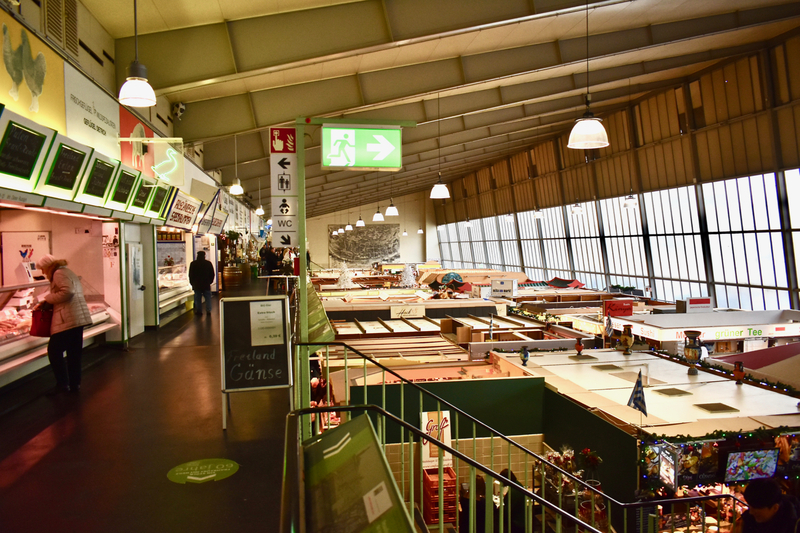 Some might call it an outdated eyesore, but inside Kleinmarkthalle is truly a treasure trove of things and bears an electric energy. It’s still where so many locals buy everything from exotic delicacies to daily provisions from over 60 stallholders who have been commanding their patches for decades. In fact, only 10 of them have been here since the start. Two stallholders in particular have been on their patches for this significant amount of time time and are the heart and soul of the market.. The Kleinmarkthalle florist is in her 80s, lives about an hour outside Frankfurt, and sources her products 6 days a week, drives everything in in her tiny car and then spends the day on her feet, selling flowers and mingling with locals. She says she will never retire as she loves it so much and that the market is her life. Another is Frau Schreiber, also in her eighties. She has been at the market since day one serving traditional sausages to the masses. 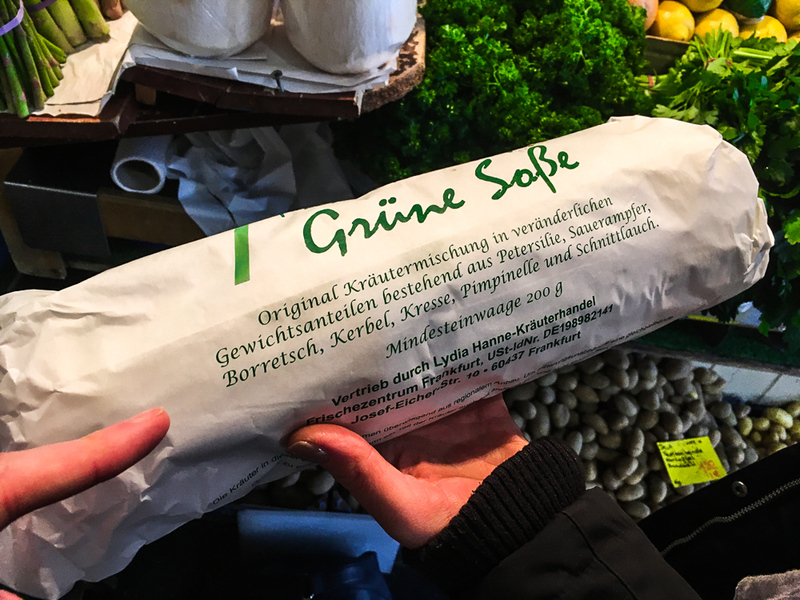 One of the major personalities within the market, Frau Schreiber has a reputation for running her tiny butchery stall with a no-nonsense attitude. 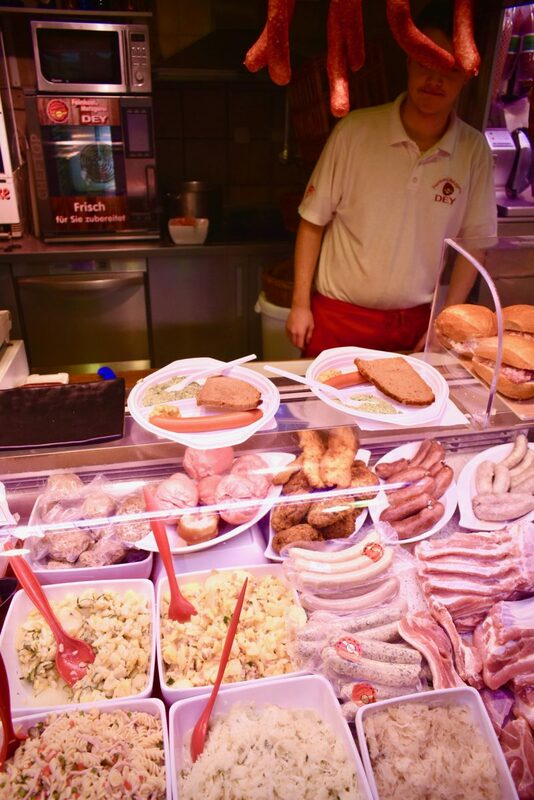 At Schreiber, the queues for a lunchtime feed are 20 people-deep at any one time every single day it’s open, not because the food is the best (though many consider this to be the best sausage in Frankfurt), but because it’s one of the most traditional and famous traders. There’s no real rhyme or reason to the queuing system at the stalls of this market, but you better believe you stick to your place in the queue at this spot! 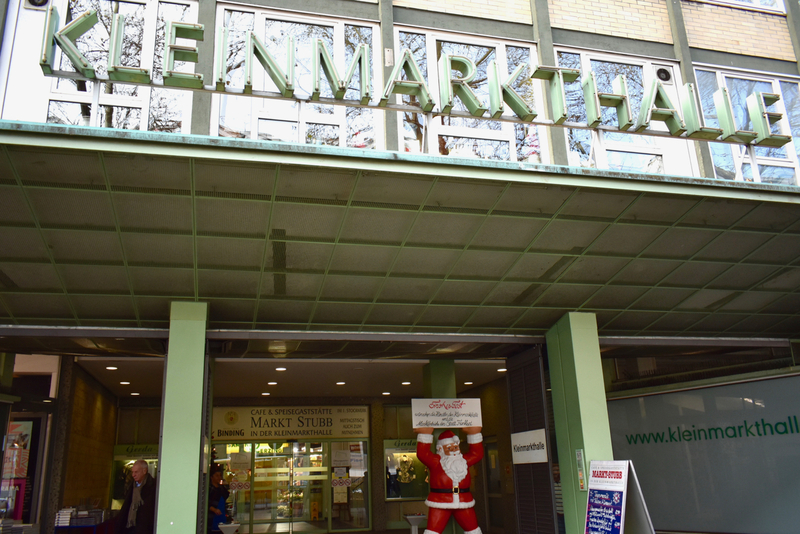 Spread over 1,200 sq metres, Kleinmarkthalle is open weekdays from 8am ’til 6pm, and busiest on Friday. On Saturdays, the hours are slightly shorter until 4pm and it’s closed on Sundays and public holidays. 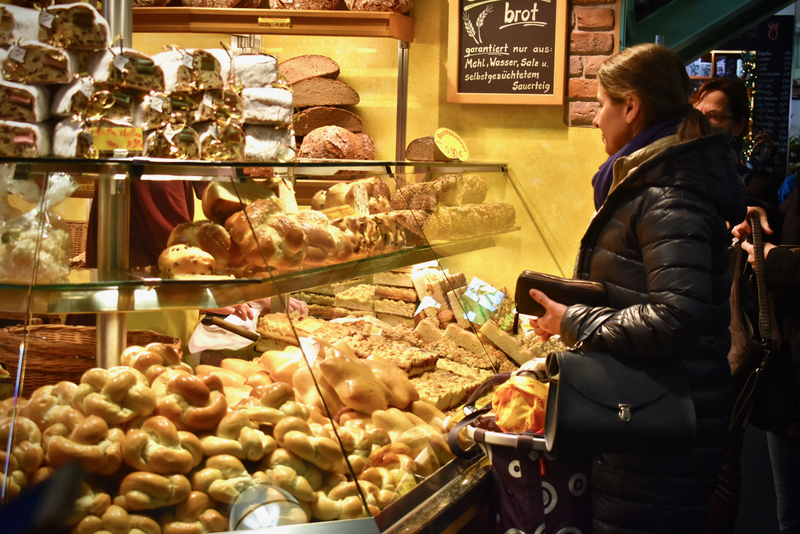 You can pick up everything here, from fresh bread and cakes to gorgeous flowers, every fruit imaginable and some of Frankfurt’s best espresso. 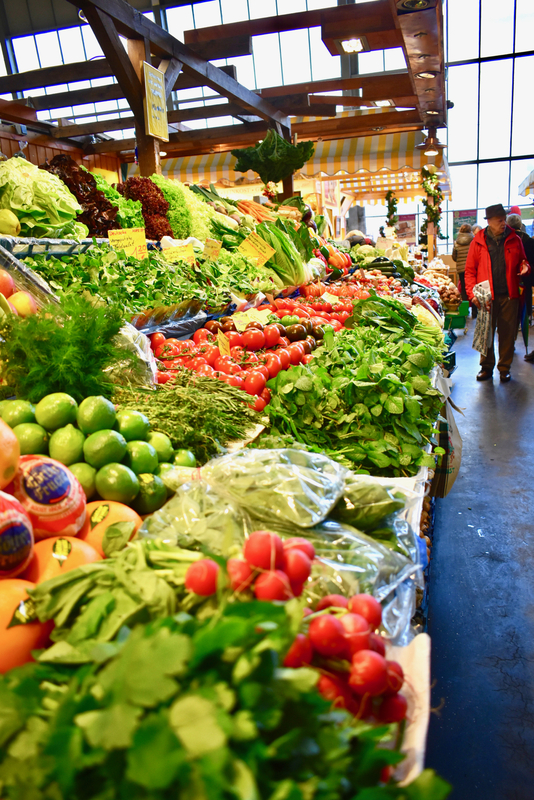 The array of beautiful fresh produce on display across so many stalls is slightly overwhelming and incredibly tempting! Grie Soß is a Frankfurt institution, a special collection of seven different green herbs local to the area which are combined in a gorgeously aromatic and delicious sauce. Sometimes also known as Grüne Soß/Soss or ‘Green sauce’ to you and us. This is Frankfurt on a plate as this truly reflects the ‘terroir’ of the city. 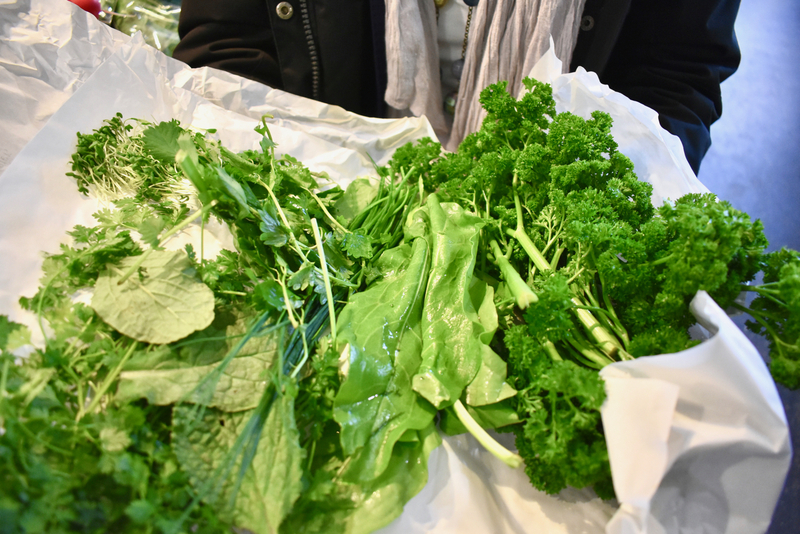 In the market you can pick up a neatly-wrapped package of these specific herbs in the exact amounts to recreate this signature sauce at home. We cheated and made our own version served with turkey schnitzel and steamed potatoes in this recipe. Venture downstairs and you’ll find the city’s most beloved and celebrated fishmonger, whose board changes daily with whatever lands in on day boats, prices hastily scribbled in chalk and crossed out when all gone. Arguably the freshest fish you’ll find in all of Germany, the reason being, the fishmonger will gut, fillet and prepare your exact pick from the fresh fish swimming around – yes, he has lots of live varieties to ensure that he offers his customers the very best. There’s always a queue and, like so many in this famous hall, he is a character. Not for the fainthearted, mind you! 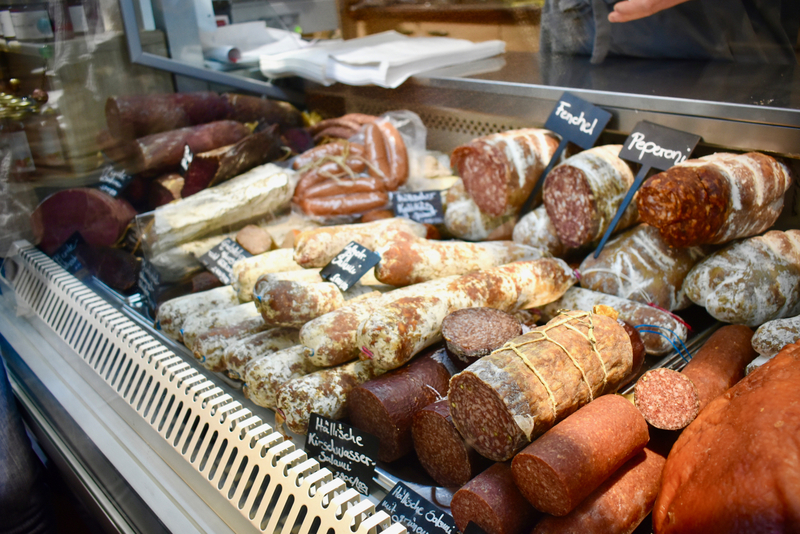 One of the most recent additions to the market is Main Gourmet, whose wines, cheeses and meats are some of the best available in Frankfurt. 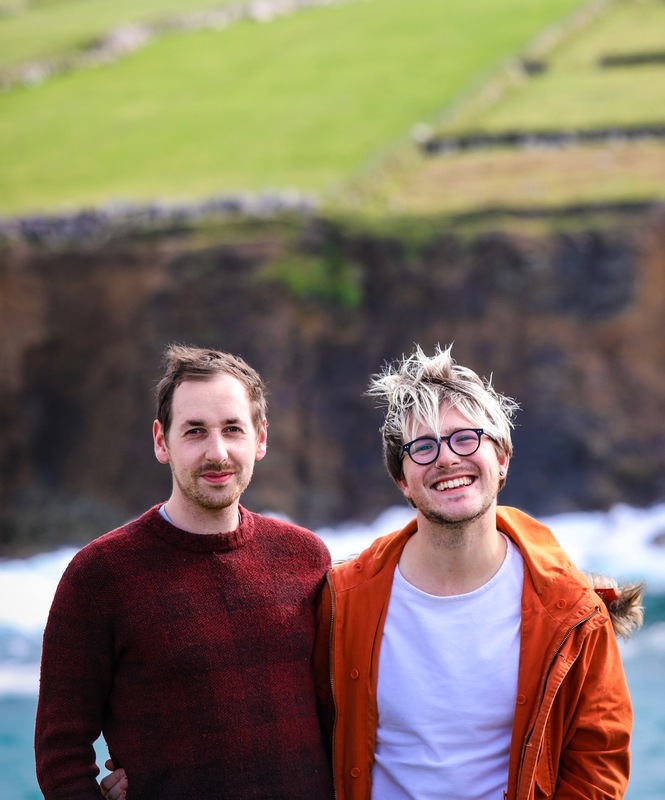 Owned by Kian, who’s passionate about and expert in the area’s produce, his stall deals in a huge range of charcuterie, cheeses from Western continental Europe and German wines. 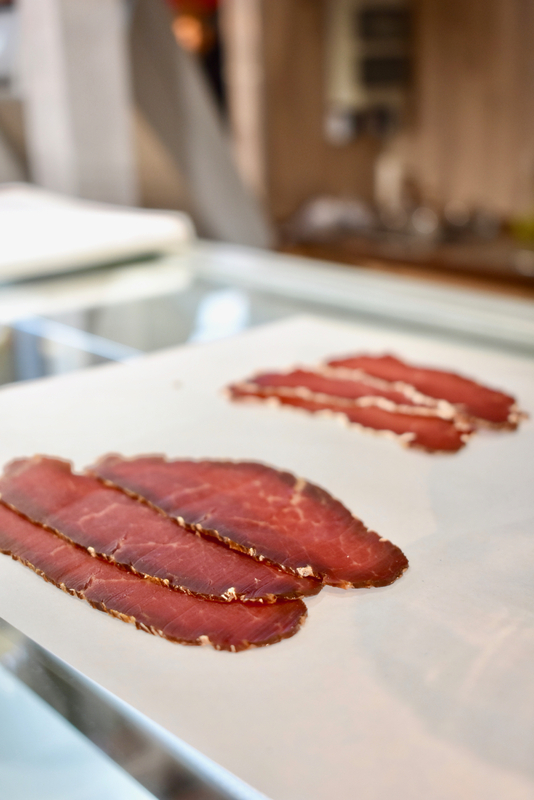 Verena and us sampled everything from prosciutto to silky strips of pork neck and even cured horse meat, as well as some of the most beautiful, creamiest cheeses you could ever imagine, washed down with riesling and gewürztraminer. Kian, like many of the best stallholders in any market, knows every product inside and out, from the vineyards’ owners and exact locations, to how long every piece of meat is matured for. The best stall in the entire place, if you ask us! 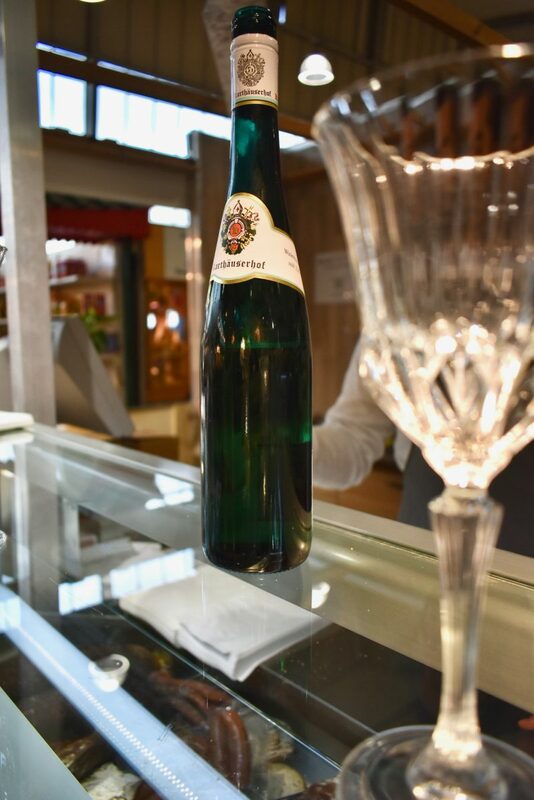 We’d happily fly to Frankfurt just to go back and spend an hour or two chatting, sipping and sampling here; precisely the best thing to do at a market, frankly. Don’t be shy to ask for a sample if you’re curious, because they want to introduce you to new flavours. 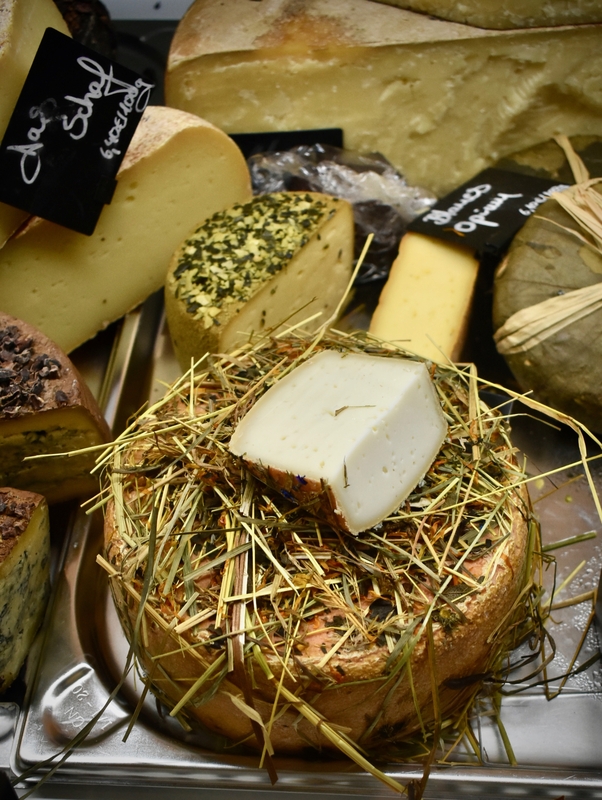 A cheese which is synonymous with the city is Handkäse – or ‘hand cheese’ in English. This is a sour milk cheese that gets it’s name from the fact it’s formed with the cheesemakers hands. 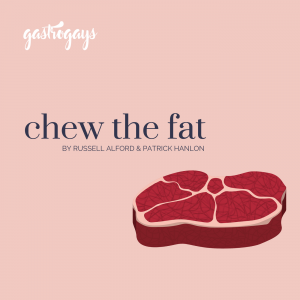 Now, not one to everyone’s taste, as it’s high in protein and very low in fat – the smell can be very off putting! But, served with some caraway seeds, or salt & pepper, the smell doesn’t impact the flavour, which we actually quite liked! Around the city you’d often see this on the menu as “Handkäse mit Musik” which means “hand cheese and music” which is the cheese served with chopped sautéd onions. The “music” element is the sound your stomach makes after eating it! We know we’re probably not selling it, but it’s definitely something worth trying when in the area. Further along, we sampled so many amazing things from the city’s immigrant traders including Greek stuffed dates, middle Eastern baklava and fresh Italian limoncello. 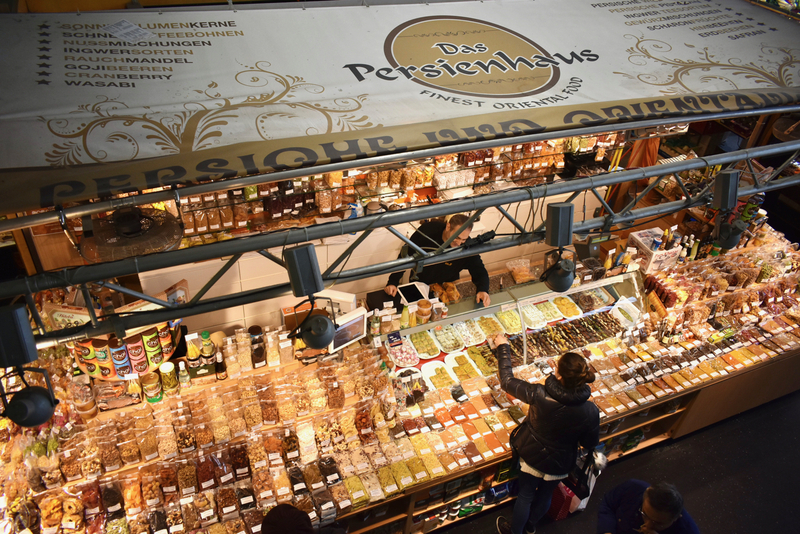 Frankfurt is home to over 180 nationalities, so naturally the market reflects this with lots of international representation and delicacies. Over the decades, the city has diversified more and more, and the market really shows that off. Overall, the international influence within the market stems back to the post-war years, when the city was rebuilding itself, extra labour was needed. 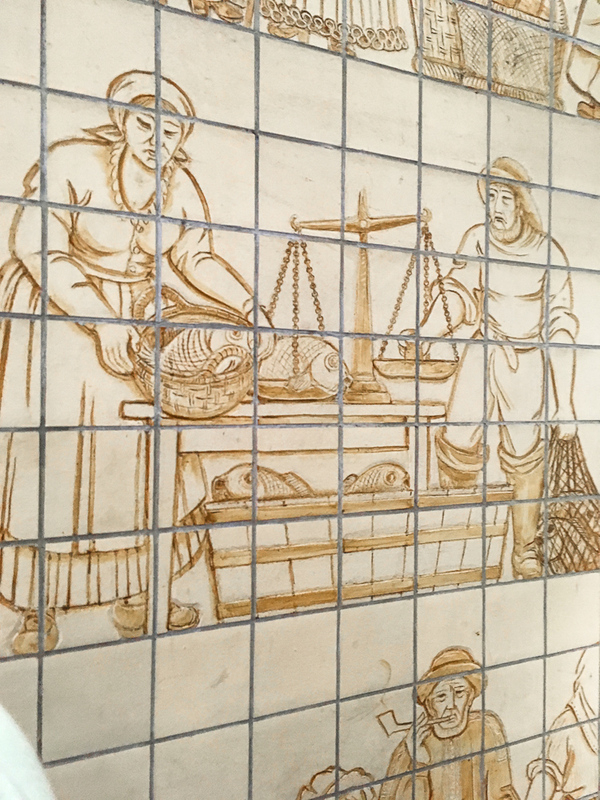 Frankfurt was welcoming of workers from across Europe in particular, who all brought their influence into the city, both culturally and in a culinary sense. At Das Persienhaus, you’ll find every type of dried fruit and nut imaginable, as well as baklava, stuffed fruits, spices and teas. The husband-and-wife owners have been there for five years and it progressed from a small stall into one of the biggest in the market. They travel across the Middle East adding suppliers to their chain and bringing a taste of the East to the heart of central Germany, and trust us, their travels are not in vein! Of course, most traditional and best-loved ’til last, we had to try bratwurst with Grie Soß. 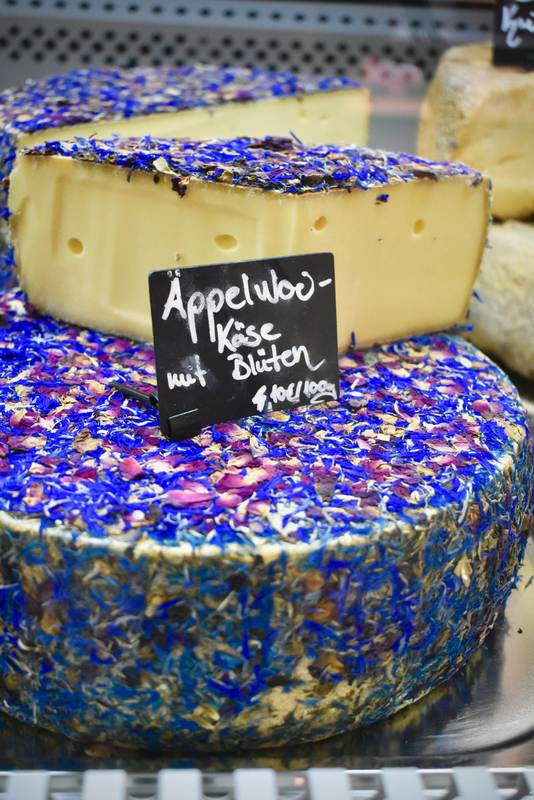 We couldn’t leave the Kleinmarkthalle without trying it, served with lots of mustard. Cheap, convenient and filling! 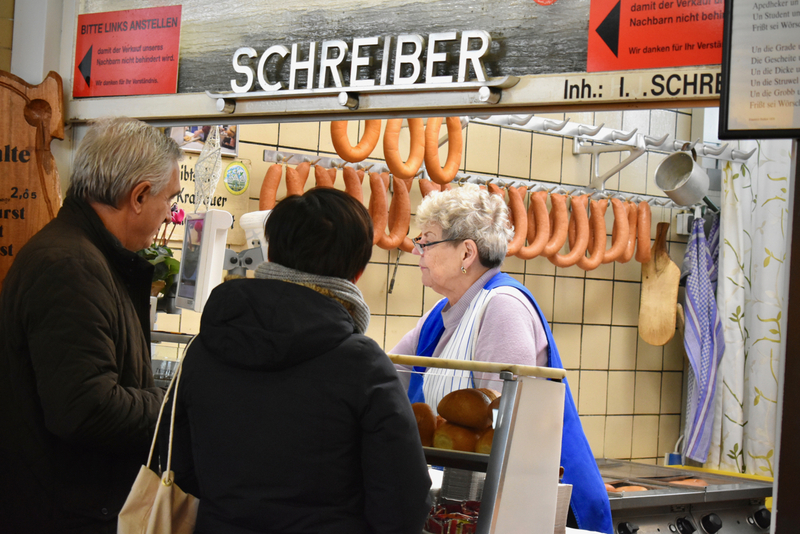 There’s every single type of wurst imaginable available at this market hall, but sometimes traditional and simplest is best. In fact, locals even have their own favoured stalls for specific ingredients, like any market. Even though they’re spoiled for choice, their loyalty to their butcher, their greengrocer is unwavering. That’s what it is about a market, it’s connection, food memories, traditions and particular tastes of an area. That’s why it’s such a fine microscope of a city like Frankfurt, it tells the story of its people. We guess we’re so lovingly invested in every market we visit because in Dublin, where we’re from, we have nothing like this. No communal space where everyone comes together and picks up their daily provisions whilst having a chat and a look around. 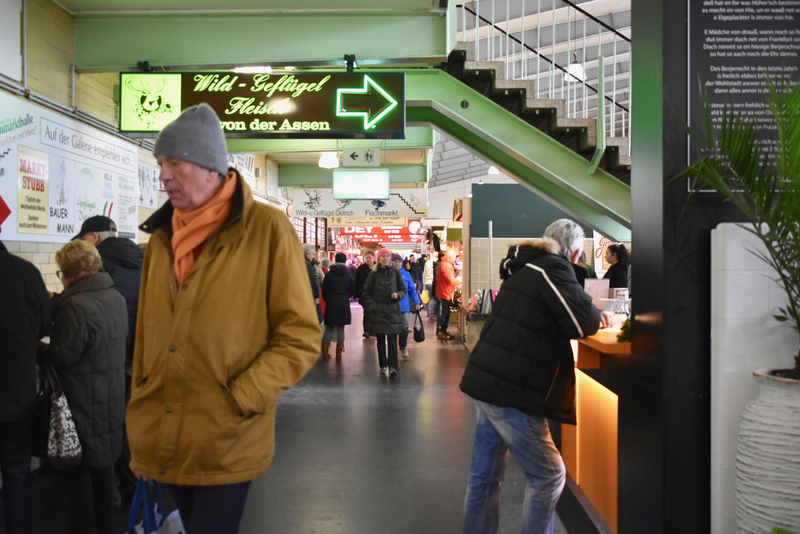 It’s something we would treasure so much, and the people of Frankfurt are so lucky to have the Kleinmarkthalle, and visitors should make a quick trip there just to get a true glimpse of locals going about their daily life. Our guide, Verena Röse, operates a large number of fascinating and informative tours around the city of Frankfurt and we’d 100% recommend her. Her knowledge of every little aspect of the market and the city is exactly what you want from a guide. We spent well over an hour at the market here, a space that is over 1,200 sq m has so many tales to tell, and Verena is the perfect person to tell them! Disclaimer: Our tour was organised as part of a trip to Frankfurt with Visit Germany. 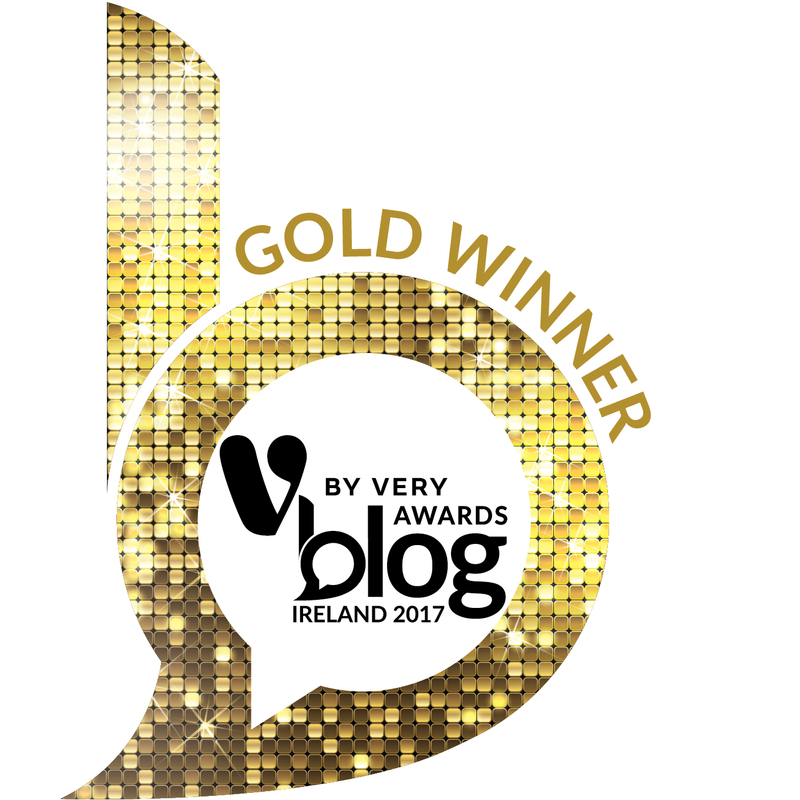 We had no obligation to write this post whatsoever – we enjoyed Verena’s tour as an aspect of the trip so much, we felt we had to write it all up! Views are, as ever, our own.